Lilies are adored by everyone. 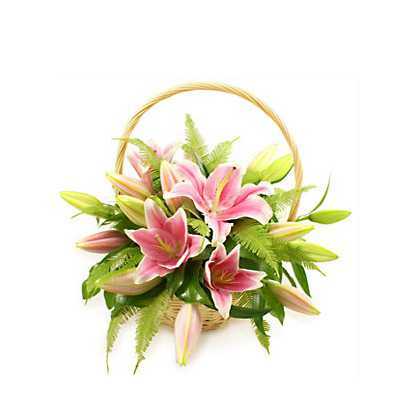 If you are planning to amaze your loved one with an amazing gift, then this basket of 8 pink asiatic lilies with green fillers is the perfect gift. The flowers were a gift.. It was a mix of full blown and bud. Packaging and delivery was great. But i am a little disappointed with the selection of flowers. 8 out of 10 were buds. I know there would be a mix of buds and full blooms but expected a lot more blooms than buds. This defeats the purpose of flower basket altogether. Hope you could improve on it next time around.